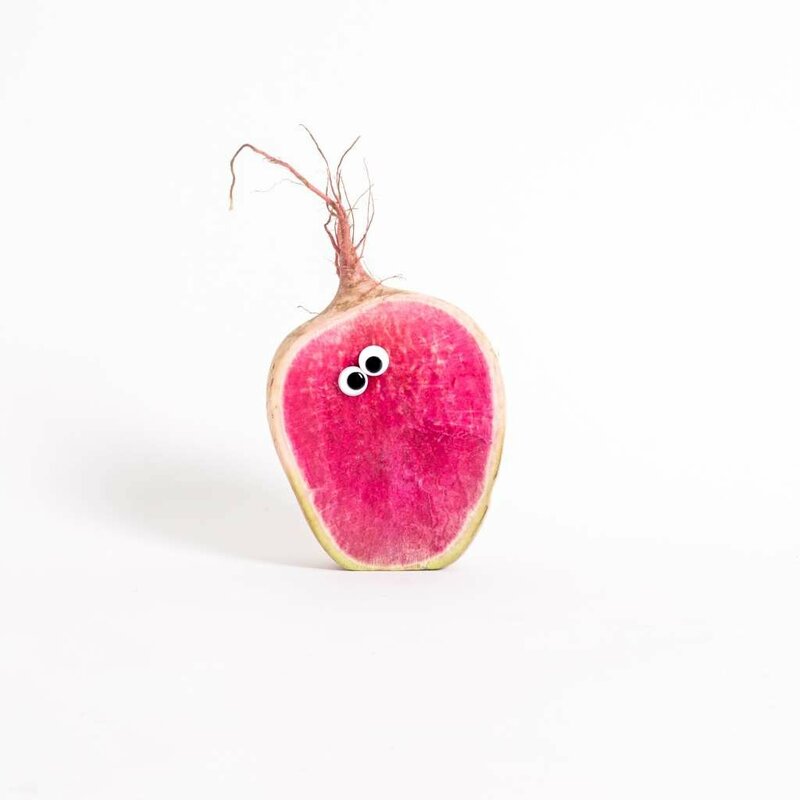 I first encountered Imperfect Produce through one of their Facebook targeted ads featuring adorably odd-shaped vegetables with googly eyeballs. I’ve been a fan of CSA subscriptions since discovering them in college, and in more recent years, I’ve grown self-indulgently addicted to the convenience of food boxes delivered right to my door. Unfortunately, after a recent move, I had yet to find the nexus point of CSA boxes and food delivery subscriptions in my area. In their stead, I’d tried several meal prep and premade food options, but they just weren’t “doing it for me” – too much plastic, too little control over my menu. So when I discovered that Imperfect Produce not only exists but also delivers their boxes in my area, imagine my surprise and delight! I not only ordered a subscription, I also reached out to their company for an interview. The first seeds for Imperfect Produce were planted by Ben Simon, a food waste warrior since his college days when he founded the Food Recovery Network as a means of connecting local hunger-fighting nonprofits with unconsumed cafeteria food that would have otherwise ended up in his school’s dumpster. During his years growing Food Recovery Network to campuses nationwide, Ben Simon met and befriended Ben Chesler, and the two of them later co-founded Imperfect Produce with a mission of tackling the food waste problem where it starts: the fields and farms where perfectly delicious and healthy produce must first pass a beauty contest before being sent to the store. What happens when produce doesn’t make the cut? Typically, it meets a similar fate to uneaten cafeteria food. Currently, an estimated 20% of agricultural output goes to waste before it even leaves the farm. 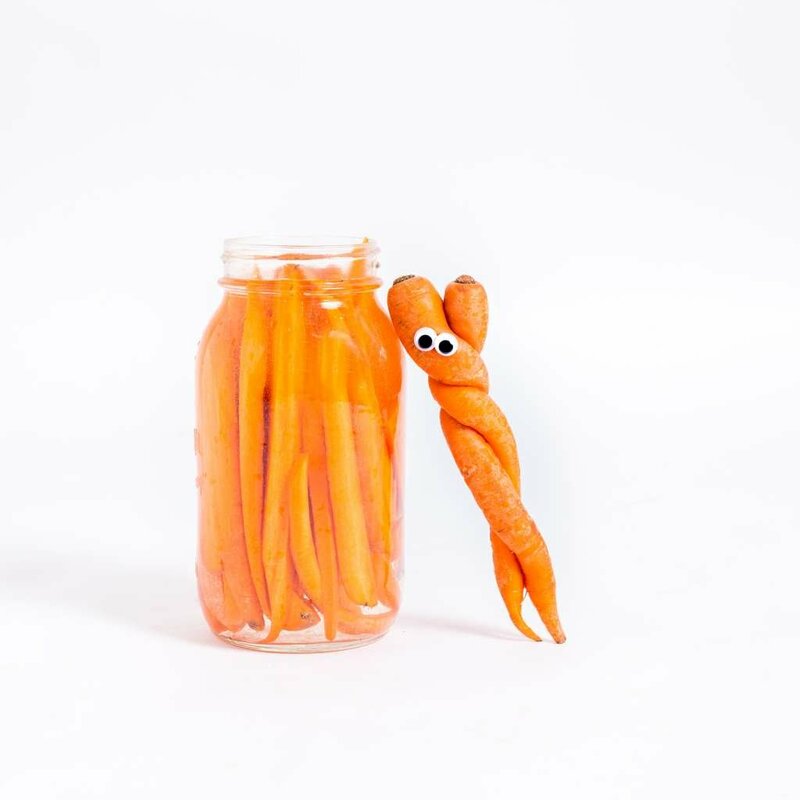 Considering the enormity of food system’s carbon footprint – widely considered the third largest source of emissions, behind only transport and housing – Imperfect Produce’s mission to reduce waste in this system is a goal that can have a huge impact on the health of our planet. How have consumers responded to the concept of imperfect produce? Are people adopting your service as quickly as you’d hoped? People are conditioned to see uniform, perfect-looking produce at the grocery store but once they realize how much food is needlessly wasted every year because of minor cosmetic quirks, they open their minds pretty quickly. Honestly, the most common feedback we get from customers about the appearance of our produce is “hey, this isn’t very ugly at all!” The reality is that for a home cook, appearance couldn’t matter less. Folks get won over by Imperfect’s cost savings, the convenience, and the waste reduction. Then they look back and realize how silly it was to worry about appearance in the first place. Once we’ve made it clear that we’re not sourcing rotten or moldy produce and that we’re helping to make a positive impact on the environment, folks are won over, either by the cost savings, the convenience or both! We’ve been so overwhelmed and inspired by the growing Imperfect community. Since launching in 2015 in the Bay Area, we’ve expanded to 14 cities, with thousands of people on board with the movement, and 2019 will be a big year for us as well. We’ll be offering non-produce grocery items that would’ve otherwise gone to waste to round out our offerings, provide more savings and convenience to our community, and divert more food from the waste stream. We’re in the midst of piloting that in the Bay Area and the response has been tremendous! Are you exploring any B2B avenues for your service in addition to selling directly to consumers, for example, selling to restaurants or to the cafeterias at universities or corporate campuses? Our direct-to-consumer subscription model is our focus and core competency. It’s where we can make the biggest impact based on how we operate and our team is entirely focused on making the Imperfect experience even better for our community. In the distant future, we would be open to partnerships like this but it isn’t on the current roadmap. We do, however, work with food banks and nonprofits in the fight against hunger and will continue to do so as we grow and reach more cities and homes. We donate thousands of pounds of produce each week and have donated over 1.7 million pounds of produce to date. Are you incorporating any additional environmentally conscious business practices into your operations (i.e. fuel-efficient delivery vehicles, renewable energy at your packaging centers)? One of our core values is “Grow the Movement”, which means to be passionate about Imperfect’s mission and live it in our everyday actions. As part of this, we all try to live sustainably every day. We’re constantly helping each other finish leftovers, obsessing over recycling and composting, and keeping our personal footprints as small as possible. For example, we have a telework policy allowing eligible employees to work from home up to three days per week, not just to help our team ease the stress of commuting or because of the studies on its productivity benefits, but because we know commuting drains valuable natural resources and we don’t want to require that any more than necessary. In terms of big operational shifts toward renewable resources like electric vans and solar-powered warehouses, we would like to do more of that in the future. We looked into doing all-electric refrigerated delivery vans, but weren’t able to find any companies making them in the United States yet. Hopefully, Tesla or another company will start making them soon. We would love to be among the first in the US using those and I could imagine shifting our fleet over to that once it’s a thing. What is your vision for Imperfect Produce’s growth & future plans? Our vision is for Imperfect to deliver to every major city nationwide so that we can make an even bigger positive impact on our food system. In our first 3 years, we’ve expanded to 15 cities and kept over 40 million pounds of produce from going to waste. We’re excited to have just expanded our footprint on the East Coast – the greater Washington, D.C. area launched on February 11th. While we’re quite proud of this, we hope that one day we can be recovering billions of pounds of produce and helping folks all across the country eat better and waste less. We’re also excited to be adding non-produce packaged goods to our offerings. Whether it’s due to silly packaging mistakes, nearing expiration dates, or packaging updates, there’s food waste all across the food spectrum, not just in produce. Our vision is to someday serve as that bridge to get all of it to people so it doesn’t go to waste. How does Imperfect Produce support “Good Jobs” for its employees? We wouldn’t be able to change the food system without the wonderful people who work hard every day to get your box to your door. At Imperfect, our customers aren’t just supporting a less wasteful world, they’re supporting good jobs in every city we deliver in. So when you get your weekly box, you’re not just helping us build a better food system, you’re helping us provide a better life for each of our employees. All of our hourly jobs, including warehouse, customer care, and delivery drivers, pay at the 75th percentile and above, which is about 20-30% more than the average starting warehouse job. From entry-level warehouse associate to senior executives, every full-time employee is offered the same awesome benefits, including medical, dental and vision insurance, paid time off and maternity or paternity leave. All full-time hourly employees are eligible for bonuses, annual raises, and an ownership stake in our company so that everyone gets to share in the success they help build. 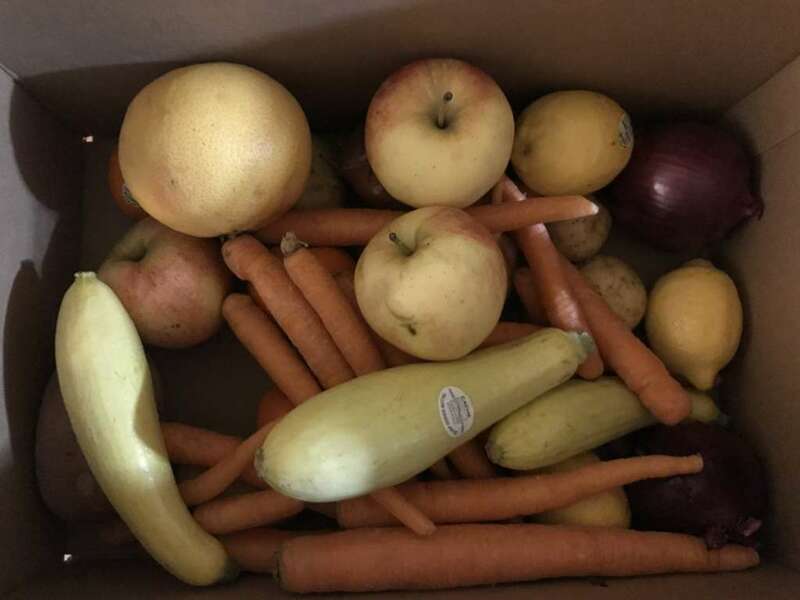 Everyone also gets a free box of produce each week so they can enjoy the fruits of their labor, literally. 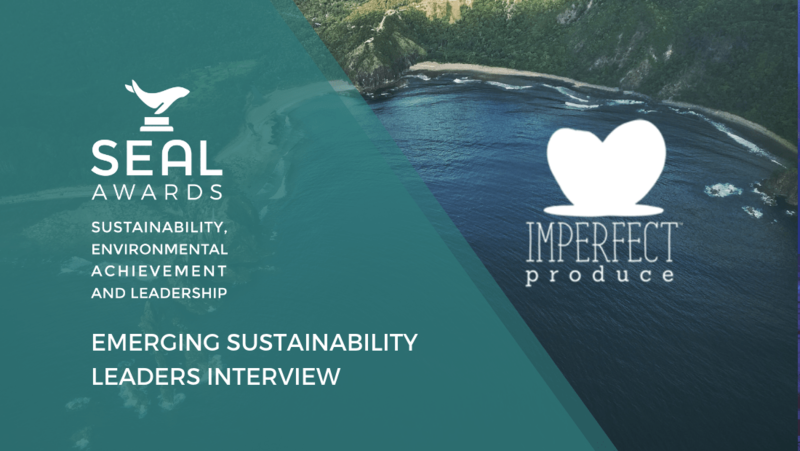 NB: SEAL Awards was not paid for this interview and we will NOT benefit financially if you decide to order your own produce box – but we will all benefit from a less wasteful world! 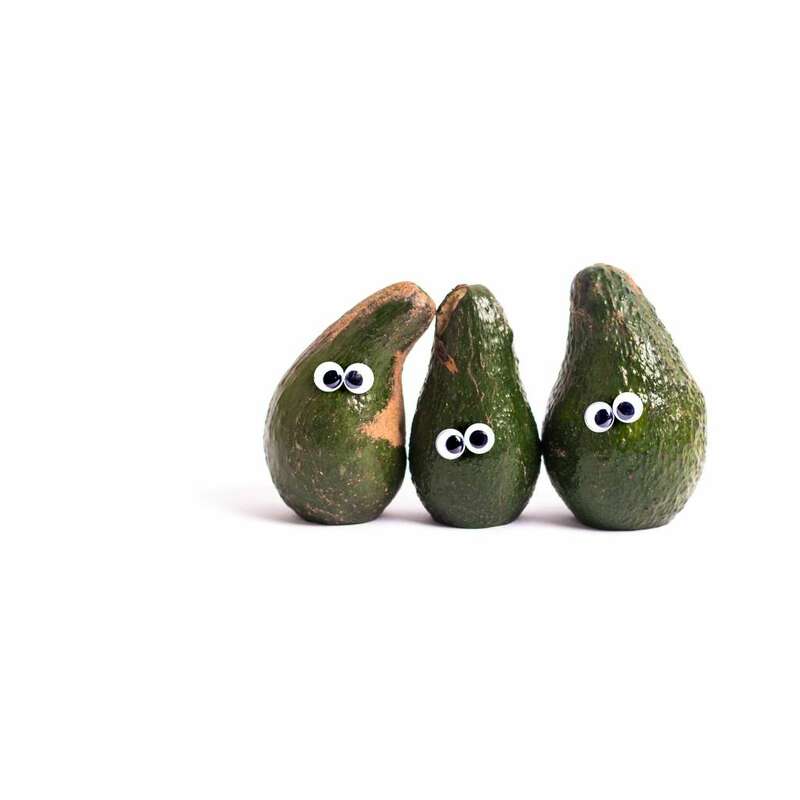 Googly radish, googly carrot, and googly avocados all courtesy of Imperfect Produce. 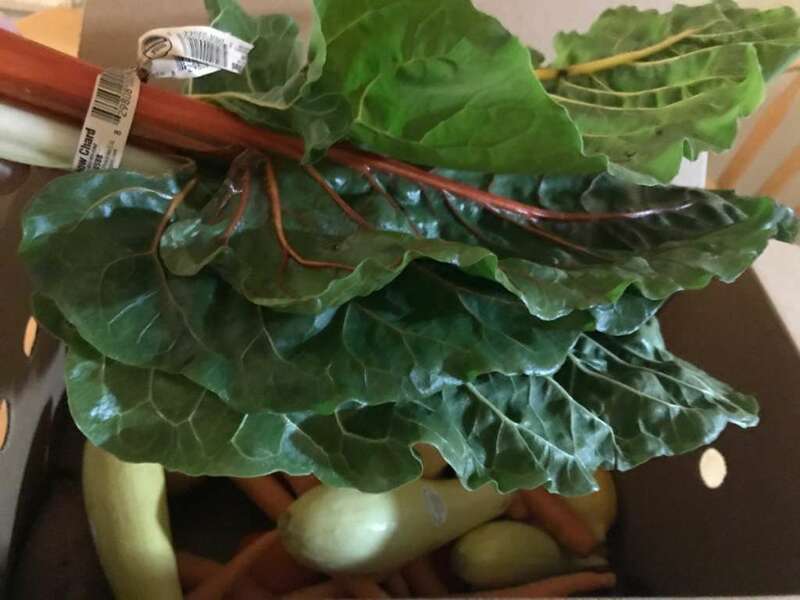 Final two images are photos of my actual delivered produce box.